Information literacy is the ability to recognize when information is needed, locate, identify, evaluate, and manage information sources that are credible, acceptable, and come from a reliable source. Information literacy is the acquired skills to translate information into knowledge. Information literacy is important for today’s criminal justice scholar. 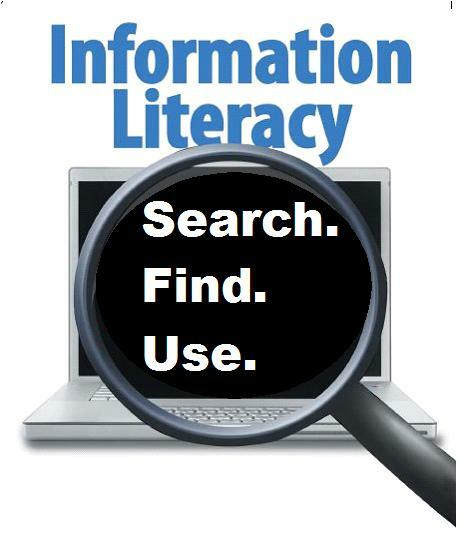 Information literacy promotes problem solving and critical thinking skills. Information literacy requires critical evaluation of the research, findings, forming opinions based on the evidence, and analyzing the current literature for supporting and opposing viewpoints. Empowering the criminal justice students to find their own answers. Promote the creation of self-sufficient researchers. Encourages critical evaluation of information sources for bias and inaccuracy. Helps manage information overload from the vast amount of information available in this digital age. Peer-reviewed journal articles are also referred to as scholarly articles. Peer-reviewed articles can be either a primary (orginal research) and secondary (evaluation of others work or practices) sources of articles written by criminal justice scholars and reviewed by professionals, subject matter experts, and other criminal justice scholars in the discipline prior to publishing the article, in order to insure the highest quality. Peer-reviewed articles are the best sources of current scholarly information for criminal justice student’s papers. To insure relevancy, the articles should be no older than five-years from publishing date for your criminal justice papers. Search authors, article titles, or journal names. Understanding information literacy is critical to the modern scholars success. Your academic papers are only as good as the references used to support your analysis. Posted in Mark's Articles and tagged Academic writing, College student, Criminal Justice, Criminal Justice Student, Criminology, Information Literacy, Peer-reviewed. Bookmark the permalink.